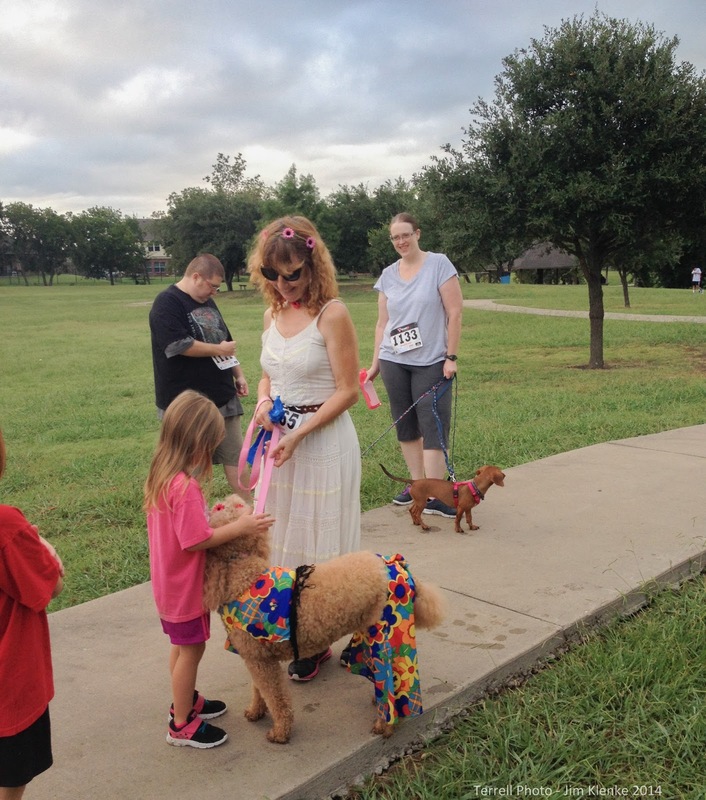 Yesterday was the 2nd annual Mutt Strutt 5K in Royse City, TX. Its a small but fun 60's hippy themed race with a lot of 4 legged friends running with us. The race is hosted by WOOF-Stock Foundation of Texas. From their webpage: WOOF-Stock Foundation of Texas is and official 501(c)3 organization that was founded in 2012 by Don and Melanie Kuykendall. The annual WOOF-Stock festival is hosted by Kuykendall Insurance in Royse City and proceeds go to animal welfare organizations across the state of Texas with primary focus on our local communities.